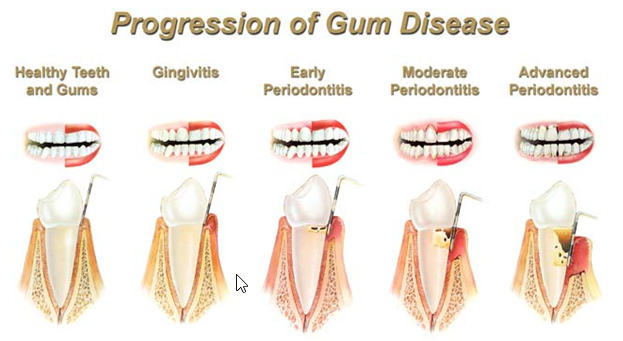 What is gum disease? Gum disease is inflammation of the gum. It can start from gum line and progress to affect the bone that surrounds and support your tooth. First stage of gum disease is Gingivitis. If the plaque that collects on your teeth and around gum line is not removed by brushing and flossing, it can result in infection of gums and can cause gingivitis. Early stage of gingivitis responds well to good brushing and flossing habits and regular dental check-ups.